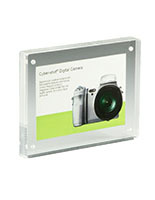 These Picture Frames Use Magnets to Secure Signs, Advertisements, and Photos in Place! 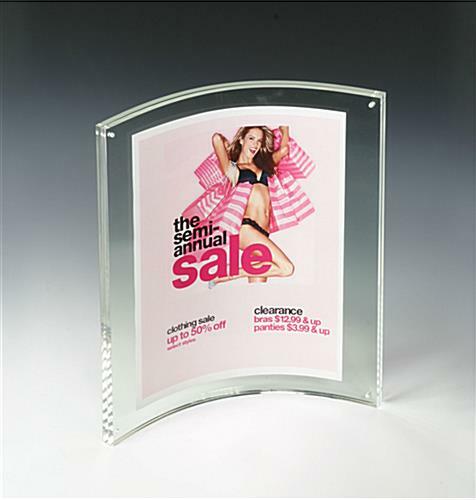 This Picture Frame Features a Double-Sided Curved Display Window, Perfect for Commercial Use! 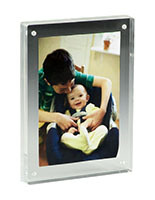 Photo Frames For Sale Here, Buy with Confidence! Use convex & concave side for a double-sided view! 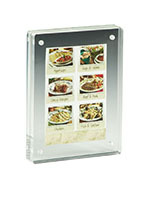 Discard the necessity for highly priced laminating and buy these economically priced picture frames! 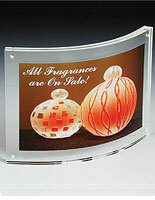 You can effortlessly exchange a sign or picture quickly by sliding the clear acrylic panels apart. Your prints are held securely in place by 8 miniature magnets, 4 on each 1/4 inch thick panel. The magnetic sign frame can display vertical 8-1/2"w x 11"h portraits only, not landscape. 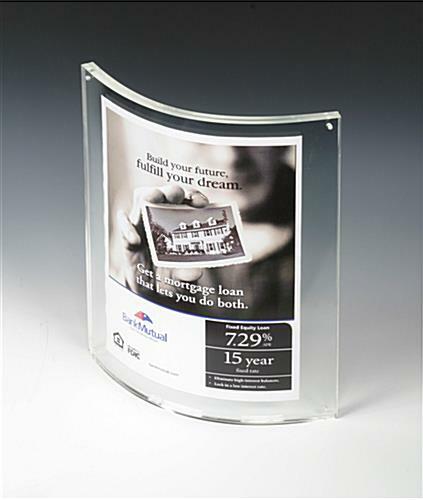 Picture frames like these magnetic sign holders or curved sign frames, are perfect for corporate, commercial, or even residential use. Your promotion or picture will literally stand out! 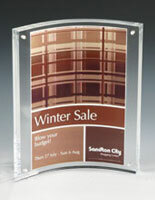 Picture frames add impact to campaigns and media content with their special design. A curved version of our straight picture frames, these double-sided magnetic frames display pictures in a concave or convex style. They can even show 2 media content at once! 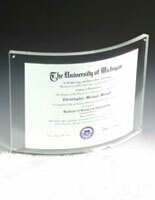 These clear sign holders, picture frames are ideal to use as part of a retail display or even on a bank countertop.